Milan with Barbara Barry, her top tips on where to eat, shop and the palazzo’s to visit. Timely for those of us about to travel to this years Milan Design Week. 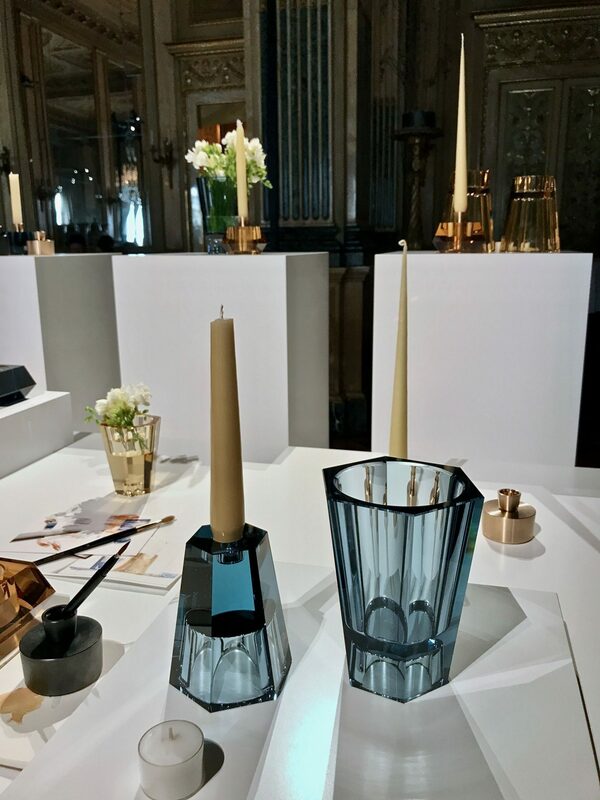 Last year during Milan Design Week I met design powerhouse Barbara Barry who was promoting her collaboration with Atelier Swarovski Home. Based in Los Angeles Barbara’s design career includes designing exquisite interiors, furniture, lighting, tiles and fabric collections for a number of high profile brands and authoring a best selling interiors book. As a tastemaker, she’s advised up-and-coming designers and brands on building their portfolio and regularly appears in design journals such as AD, Veranda and Interiors. As a lover of the Italian city, I asked the award-winning designer for her tips; Milan with Barbara Barry. 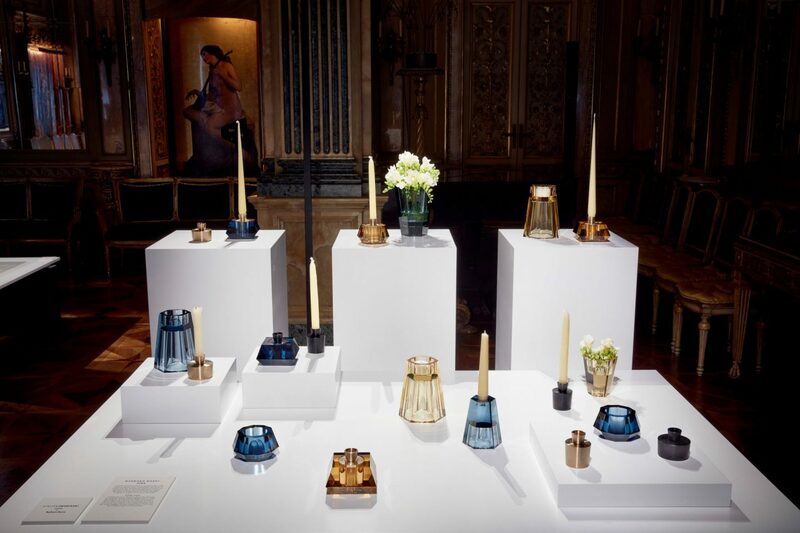 For Swarovski, she designed a range of multi-functional candleholders and vases in mellow hues. The versatile pieces play with compositions of colour and light and are highly covetable. In fact, the Swarovski installation was a complete delight. I might also have been rather taken with Palazzo Crespi, where the installation was held which is still a family home. It’s rare to meet someone at a press day that you instantly warm to and feel like you’ve known forever. 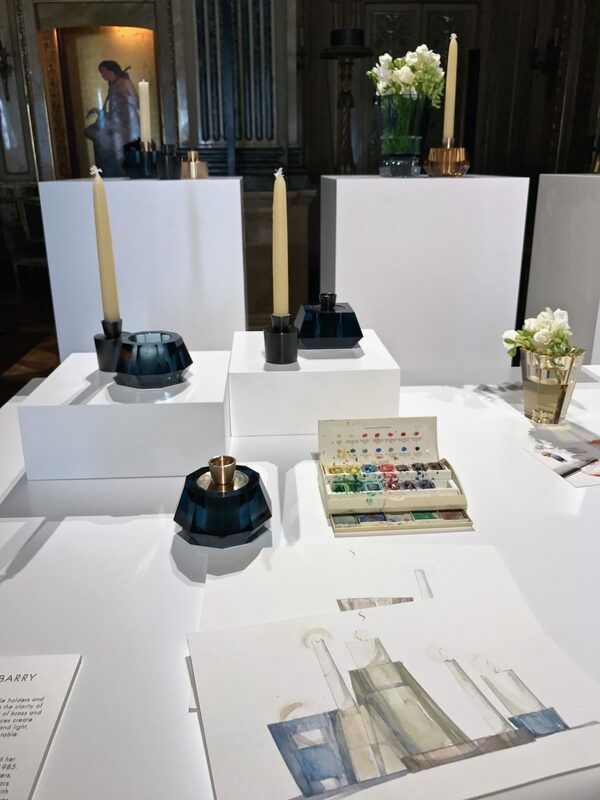 So instant was our connection that we spent a considerable amount of time together in Milan along with my colleague and friend, interior designer Valerie Oldham. We visited palazzo’s, installations and showrooms. And we might even have done a little shopping. Never without her watercolours, I watched as Barbara sketched in showrooms and captured ideas. Barbara is also a skilled “enabler” encouraging us to try things on in shops and ultimately make some purchases! Especially in her favourite Italian outerwear store, Herno. Over aperitivo following a visit to some of her favourite spots in Milan, Barbara shared her Milan Design Week with me. What do you love about Milan? I love the hidden nature of Milan. The not knowing what is behind those imposing facades. It makes one dream of the unseen lives lived out of sight. How would you spend your perfect day off in Milan? Walking (with two new friends) and wandering…letting the day unwind discovering new things at every turn. I like to shop in the Brera where there are still small stores with shop owners present. Do you have a favourite Palazzo or Church in Milan? The Villa Necchi is my absolute dream villa with its spare, modern architecture counterpointed by feminine decorative gestures. Where do you like to eat when you’re in the City? What’s the best-kept secret or the most overlooked of Milan? That’s an answer I don’t have but want to find out! What are your globetrotting essentials that make the journey more comfortable? A Hermes scarf, my custom Hong Kong cotton shirts and a pair of lightweight Nikes. What is your most treasured possession and does it travel with you? Think before you speak…I only wish I could follow it. How did the collaboration with Swarovski come to be – and what has been the hardest challenge in its creation? I met Nadja Swarovski, and I fell in love. 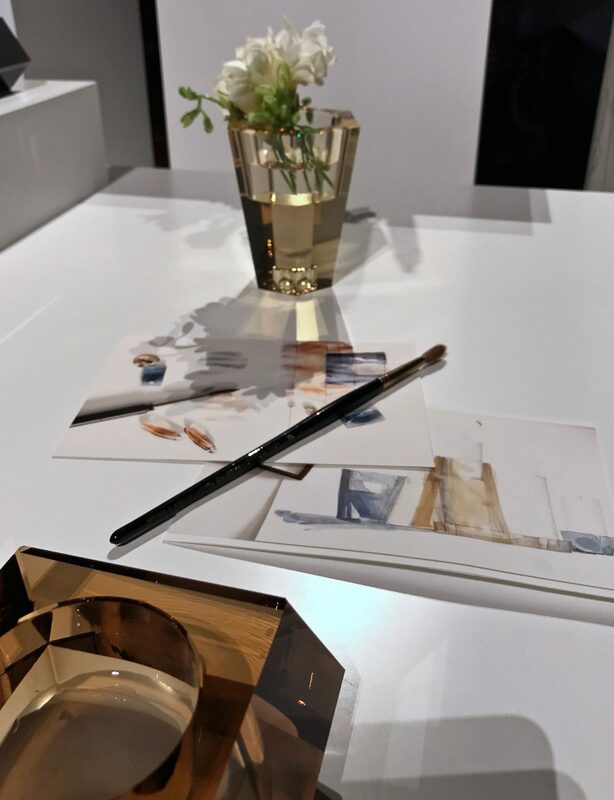 I then travelled to the Swarovski factory in Wattens in the Austrian Alps and fell in love with crystal and the team…the rest is design…which is my passion. 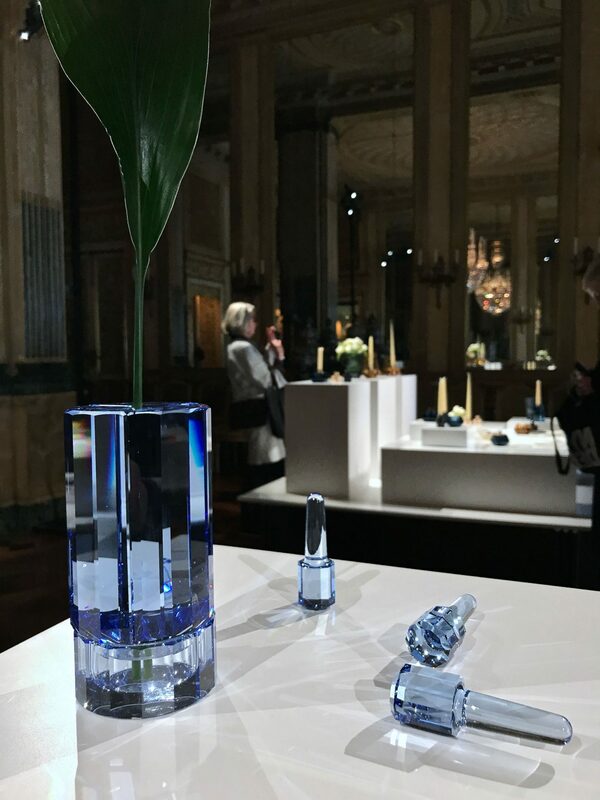 For this years Milan Design Week Swarovski will present a site-specific installation in a grand greenhouse set within a hidden courtyard of a neo-classical Milanese palazzo. ‘Swarovski Palazzo’ will unveil new designer collaborations from Atelier Swarovski’s home décor line including collaborations with Peter Pilotto, Nendo and Patricia Urquiola. I’ll be visiting the Swarovski Palazzo next week so keep your eyes peeled on my Instagram here. 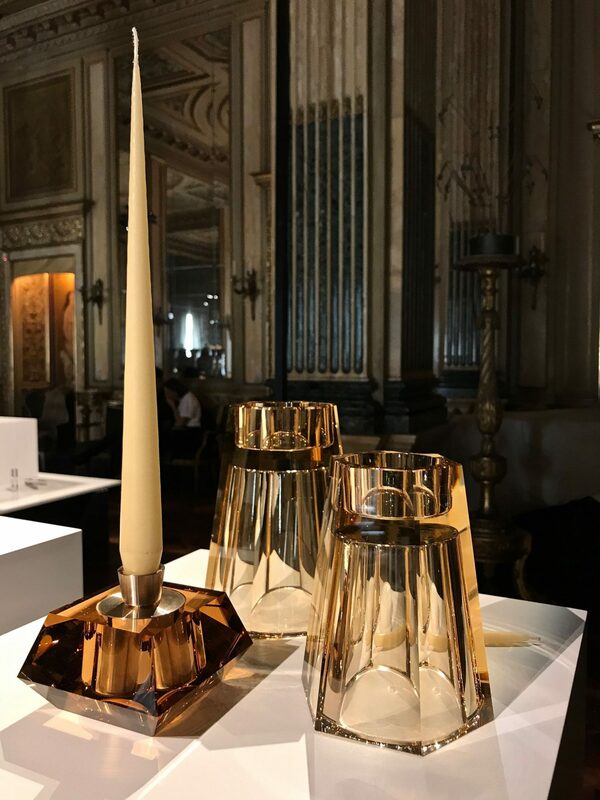 If you enjoyed Milan with Barbara Barry you might also like my Brera design highlights from Milan Design Week last year here. ‘Barbara Barry Around Beauty’ published by Rizzoli. Great tips! Sadly I’m no travelling to Milan next week, but I’d love to visit again so I’ll bookmark them. And what a beautiful collaboration! Milan is one of my favourite cities! Very envious of your trip! Really love these Swarovski candle sticks in blue! Stunning!! 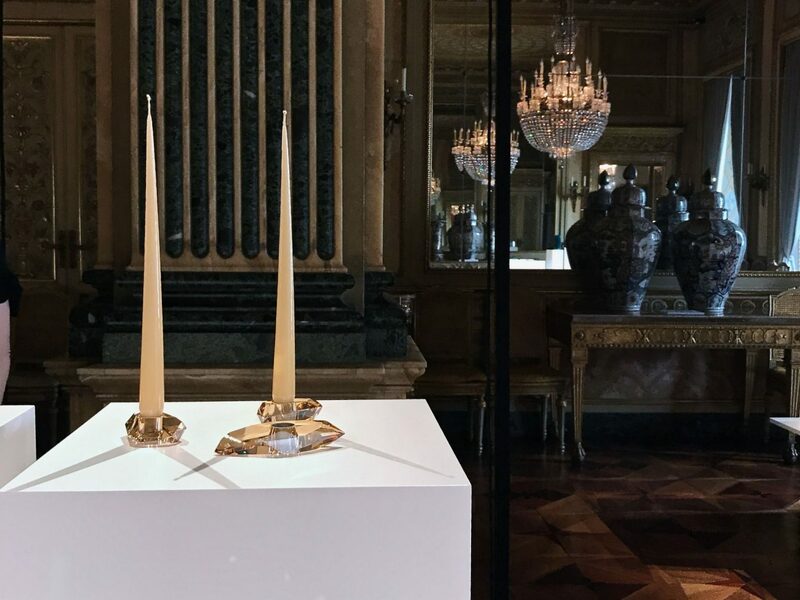 Wouldn’t be in Milan anytime soon, but those candle stands are to die for. They’re so unique and gorgeous. Are they for sale?? Lucky you travelling to Milan and working with some amazing brands too!! I have always loved Swarowski.. My friend is attending the design show next week, so I will be sure to show her this post!! I love this collaboration, very well designed. Milan sounds like a great place to visit, perhaps I should put it on my bucket list? A great interview….I haven’t ever been to Milan – but I wouldn’t say no if I had the opportunity to go! 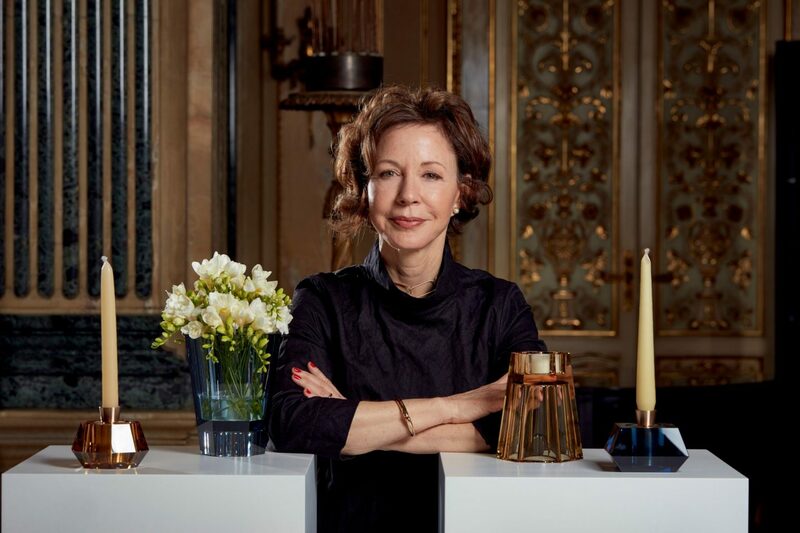 What a fab interview with a great designer – love to see that she is so down to earth, approachable and she is SO ELEGANT! 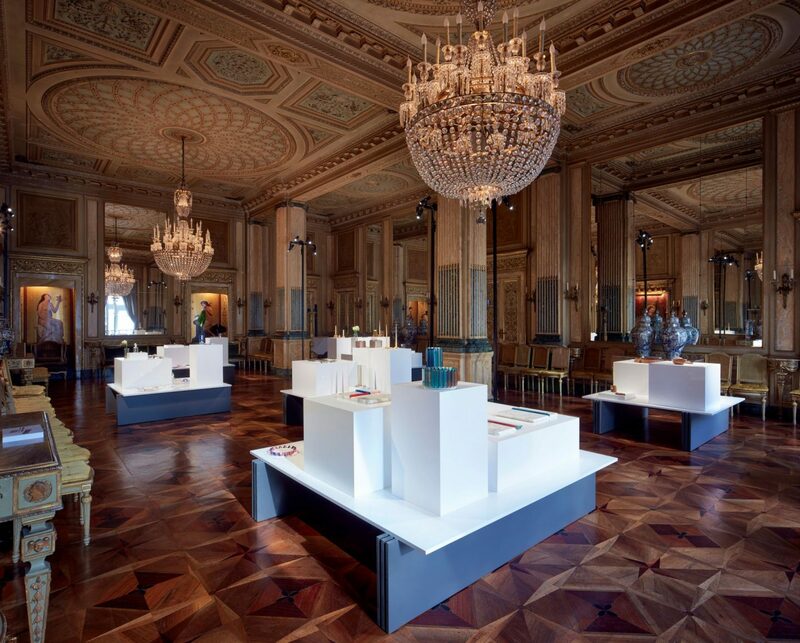 While never been to Milan for Design Week, I have spent time with husband there as he used to work in the city (and still occasionally has to travel there). It’s a beautiful city that caters to all kinds of needs! Love seeing a range from Swarovski that isn’t purely ‘bling’ – and this range is gorgeous! Also so interesting to read about the designer behind the collection.